If you’re lucky enough to be attending a tropical destination wedding this season (hello, sunshine! ), deciding on an outfit that is both appropriate for the occasion and the weather may seem like a challenge. 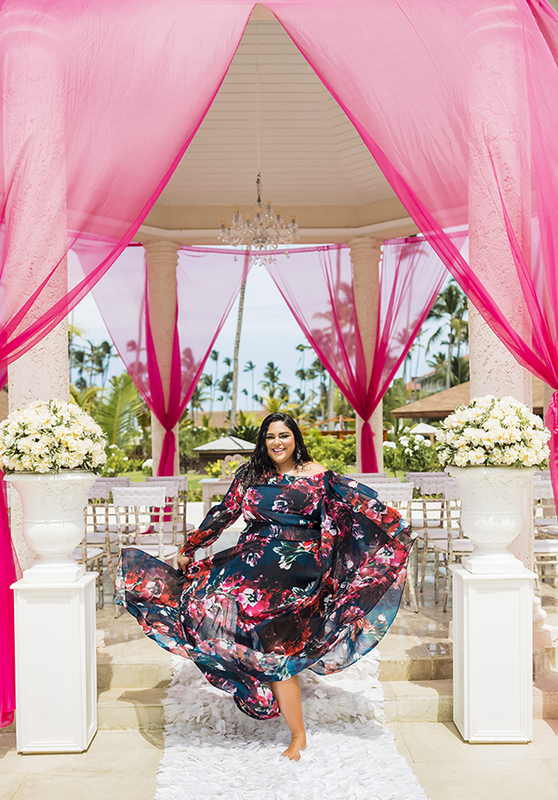 When it comes to a destination wedding during the holidays, you can still put together a look that is festive while feeling comfortable in the hot weather. Go for some statement sparkle or a bold print in a lightweight fabric. Here are some destination wedding outfits to rock this holiday season. Wearing head-to-toe sparkle may seem like a lot, but if done in the right proportions, you can definitely wear some standout shimmer in a tropical climate. 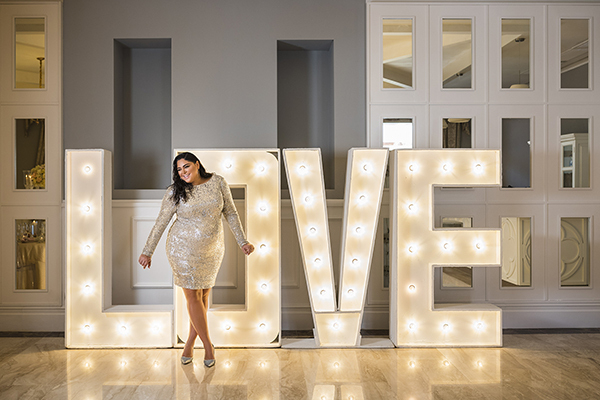 While a full-length sequined gown may not be the best choice, a sparkly mini, or a sleeveless jumpsuit in a black glitter or multi-coloured sheen, will show off the perfect amount of skin while still looking glam. For those room-to-reception moments, a pair of metallic heels will complete the ensemble. Need some more holiday dressing inspiration? Click here to see our top 5 holiday trends to try this season.